Whether you’re a recreational player or an aspiring pro, I’m guessing you know that truly successful poker players do something different than everyone else. You might think it’s a kind of ‘instinct’, or you might think it all comes down to years of practice. But the reality is almost all professional poker players use a small selection of proven ‘techniques’ to beat the game, time and time again. Today I’m going to reveal exactly what these techniques are, and how you can use them in your game to see consistent wins in both cash games and tournaments. To do this, I’m going to take you behind the scenes with some of the world’s best poker players, and discuss exactly how they’re making millions of dollars online, and in live games. But before we get into specifics, I want you to understand that there are two main reasons why professionals have an advantage even before the cards are dealt. The first reason is their ‘edge’, which is the advantage professional poker players have over their opponents, regardless of the cards dealt, chip stacks, particular situations, etc. The great poker players–Phil Ivey, Daniel Negreanu, Phil Hellmuth, etc.–all understand who they’re playing. They understand their opponents’ tendencies. And they’ll use this understanding to outsmart, outwit and manipulate their opponents, which gives them a winning edge. Play Aggressively to win a large pot with a strong hand. Play Passively to try and win with a weak hand. Play Aggressively to make your opponent fold a better hand. And while it might sometimes seem like magic, the best professionals win simply by playing fundamentally good poker and exploiting their edge. In just a few moments, you’ll discover how you can think, act, and win like the pros. But let’s talk about another reason the pros win consistently. Poker theory is, essentially, the rules of profiting from poker. This means understanding how the game works: the basic math, percentages, and what determines how profitable a decision is in the long run. It’s easy. Using theoretically balanced ranges, play in line with the most profitable playing style. Meaning that, against 99.9% of players, make the profitable play virtually every time. Of course, there will be times when your aces get cracked by kings, or when your opponent hits her one-outer on the river. But stick to profitable styles of play and you’ll guarantee yourself a juicy income stream. The best part about this is many players who call themselves ‘professionals’ don’t play theoretically correct poker. They put their money in and hope for the best. And sometimes they do well. But they could be doing a lot better. And that’s why I’ve been consistently crushing cash games and tournaments for the past 12 years. And I’ve played against the biggest names in the game. And won. Today I’m sharing these powerful techniques with you, for free. So far we’ve looked at a couple broad reasons why professionals hold such a dominance over all other players. “Every battle is won before it is ever fought.” –Sun Tzu. Poker is essentially a game of playing your cards against those of your opponent. There are many variables to this, but at the very core of successful poker is choosing which hands to play. Maybe this is an obvious point. But do you really have a detailed understanding of which hands to play from every position? In the above graphic is a standard 9-handed poker table. Each position requires different strategies. Thus you should be playing different hands different from each position. As a general rule, the closer you are to the button, the more hands you should be playing. To avoid this problem, study beforehand which hands you should be playing, and from which position. I think you’ll be amazed how much of a difference this simple step can make to your game. You might also be surprised to learn about some of the hands you should and shouldn’t be playing from certain positions. Here’s a simple exercise to help you understand positioning and the importance of hand selection. Each of these hands is different, and they should be played from different positions. Lets look at some sample answers below. Weak players don’t understand how necessary this level of study is. Lucky for you, many of those players will remain weak as a result. Don’t underestimate how important hand selection is. With a proper selection strategy in place, you’ll eliminate doubt from your preflop game and become a more confident player overall. Now that we’ve covered hand selection, it’s time to make sure the hands you do choose are played correctly. To begin, consider a player named “John.” John is an incredibly tight player–he raises preflop just once an hour or so. At showdown, John only ever has monster hands, and so you’re confident that each time he raises preflop he has a premium hand like TT or better. John’s style of play can work in the short-term, but savvy players will begin exploiting his tendencies, and he’ll soon become very easy to beat. In other words, John’s play is very predicable. You do not want to be predictable. You want to keep your opponents guessing, meaning that they will have a tough time putting you on a hand. Raise to a similar same size with all of hands you play. By keeping your bet sizings the same, it becomes virtually impossible for your opponents to put you on a hand. Plus, when your opponents think you’re raising with bad cards, they’ll pay you off when you have a monster (just watch Tom Dwan get gifted chips in HSP). Use similar postflop action with many of the hands you play. Playing many hands postflop with the same actions helps to keep your holdings disguised. Play some of your weak and strong hands in the same way. Playing weak and strong hands in the same way adds yet another layer of depth to your game. Your opponents will often fold in resentment, not wanting to risk their stack to find out what you have. Never showdown your cards unless you have to (don’t give away free information). Phil Ivey is the best at this. You’ll struggle to find even one instance of him revealing a bluff or casually showing his opponents his hand when he didn’t have to. This is crucial. You don’t want to give your opponents any information they could use against you in the future. Keep your game as mysterious as possible. Game selection is one of the most overlooked steps toward playing winning poker, yet it’s one of the most critical. In his book Super System, Doyle Brunson talks about how he’d always be on the lookout for games filled with drunks, angry players, or just obviously bad players. If in a live situation, is the environment safe to play? Have you played with any of the players before? Poker is a social game. We talk together, we play together, we win and lose at the table together. You get to choose the people you play with. Some of these criteria are easier to meet than others. And it’s not always possible to control some of these factors, but it’s important that you’re aware of them. Moreover, don’t fall prey to your ego when game selecting. If you see players at a table you know are better than you, then move on and find another table. It can be tempting to play against better players–and that can be a learning opportunity, too–but at the end of the day you’re playing to make money, and your profits come from weaker players. The best players are able to adjustment according to how their opponents are playing. This is really where their edge comes is: determining their opponents’ tendencies and then taking advantage of those tendencies. Phil Ivey is again a great example of how good players adjust. Ivey studies his opponents, looking for any information he can get. You’ll rarely see him talking or laughing throughout a hand. He’ll stare down his opponents, analyzing their every move and determining how best to play against them. However, while a stare-down approach works well for players like Ivey, it doesn’t work for everyone and yields little information in most circumstances. These things can help you characterize your opponents’ play styles, which in turn helps you make the best decisions possible. Of course, you’re not always going to be able to tell if a player is bluffing or if they have the nuts, but you can read your opponents’ overall playing style, and gain information that other players at the table don’t have. For example, if an aggressive player is looking worn-out, bored or annoyed, I am more likely to check my strong hands rather than betting them. This induces the aggressive player bet, even when they have absolutely nothing. Finally, try to stay focused at the table at all times. Always notice what hands players are showing down, and decide whether their pre-flop action was correct or incorrect. If it was incorrect, chances are they’re mistakes on other streets. 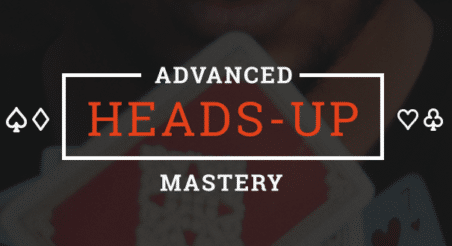 When playing in any poker game it’s important to keep level head. Sometimes the information before you can become overwhelming. In these spots it’s best to keep your emotions in check, slow down and analyze the situation. And don’t feel afraid of annoying other players, or getting the clock called on you. Take as much time as you need, and think through the hand. Think about what hands you can have in this situation, and what hands your opponents can have. Use this information to determine your most profitable move. If you feel stuck, then think about all the different hands you would play in the same way. Don’t let fear in the mix. If the situation is right, don’t be afraid to fire the bluff or make that big call. But don’t feel bluff just because you have no showdown value, and don’t feel obliged to call just because you’re uncertain about what your opponent has. Again, think carefully through the hand. Sometimes it’s best to cut your loses and wait for a better opportunity rather than risking your stack on a marginal decision. This comes back to knowing what hands you should be in the pot with, and how you should be playing them. In particular, what hands you should be raising preflop and continuing with. These are called raised first in ranges, and they allow you to know what hands to play, and from what position to play them from. I’m going to give you access to a free resource that’s helped me make millions of dollars playing poker. I’m confident it can help you become a profitable winning poker player. You can get access to these powerful charts, which reveal exactly what hands to play from each position, and how regularly, absolutely FREE for charge. Simply click the link below, and you’ll get instant access to the charts. They’ll help you make BIG changes to your game right away, and increase your profits.